Stroll for Brendan is a charity walk in memory of the late Brendan Henaghan. 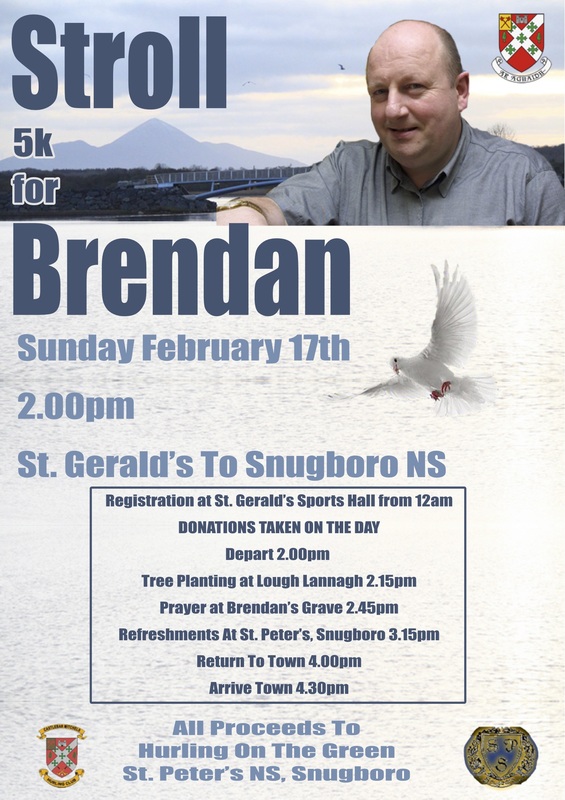 The walk will start at St. Gerald's College Sports Hall at 2pm, Sunday 17th Feb. (registration from 12pm) followed by a tree planting ceremony at Lough Lannagh and short prayers at Brendan's grave. It will then continue out Newport Rd. to St. Peter's NS, Snugboro where refreshments will be served. It will depart the school and come back to St.Gerald's to finish. Donations will be taken at registration and all proceeds will go to Hurling On The Green and St. Peter's NS, Snugboro.